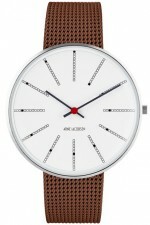 Arne Jacobsen watches are inspired by the world-renowned Danish design genius whose name they bear. 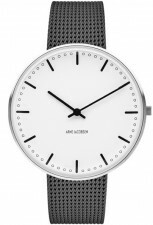 Arne Jacobsen was one of the leading architectural and design icons of the 20th century, and these watches reflect his design aesthetic - simple, clean and quintessentially Scandinavian. The simplicity in the design is precisely what makes it timeless and so courted by those who know and appreciate Jacobsen’s design philosophy. 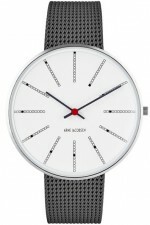 Danish design powerhouse Rosendahl launched its watch division (now Copenhagen Watch Group) in 2005 and for some time now has worked in close partnership with Teit Weylandt, who for many years was Jacobsen’s righthand man. 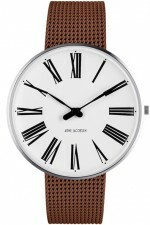 Arne Jacobsen watches are inspired by Jacobsen’s famous three wall clock designs (Banker’s, City Hall and Roman), with bold, unpretentious dials and design features. 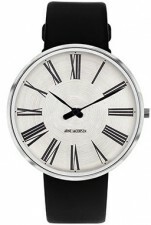 To own a Arne Jacobsen watch is to wear design history and Danish excellence on one’s wrist.